The book is interesting, however, I didn’t enjoy the reader stating her name and the date at the end of every chapter! surely this is one of the most remarkable and intelligent and deeply sensitive humans to have ever lived, it has been a privilege to hear of her triumph over what must have been impossible odds and then to reflect on her silence and darkness so eloquently without any bitterness for what life.she was given. I am humbled to know her life story so beautifully read. Agree with other reviewers: the English accent threw me a little (I had to rewind a few times to re-listen to sentences, but I'm weirdly bad at understanding accents), and the book gets tedious towards the end when she goes into too much detail about her college books. I, too, wish the book covered her later life and activism. Still, interesting overall, especially the beginning when she relays what she remembers about her childhood and learning to communicate. I enjoyed learning about her early life and the process of learning to read and speak. And was impressed with her intelligence. However, about midway through the book, it seemed to bog down and become a bit tedious when discussing her higher education and travels. I believe the book covered the first 21 years of her life. I'd like to know more about her later life. The reader did a great job. 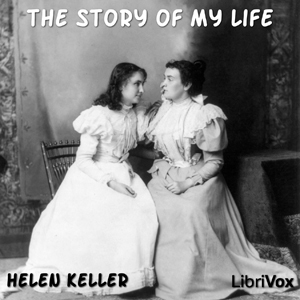 Having watched "The Miracle Worker," I thought it would be interesting to learn about Helen Keller's later life, and it was! What an incredibly bright woman. It was amazing to hear how a blind and deaf person, especially a woman living during her time, could accomplish so much, a college graduate with the ability to communicate in several languages. My only complaint is that the book must have been written fairly early in her life and didn't give many details about what she went on to do after college. I enjoyed the narration very much as well.